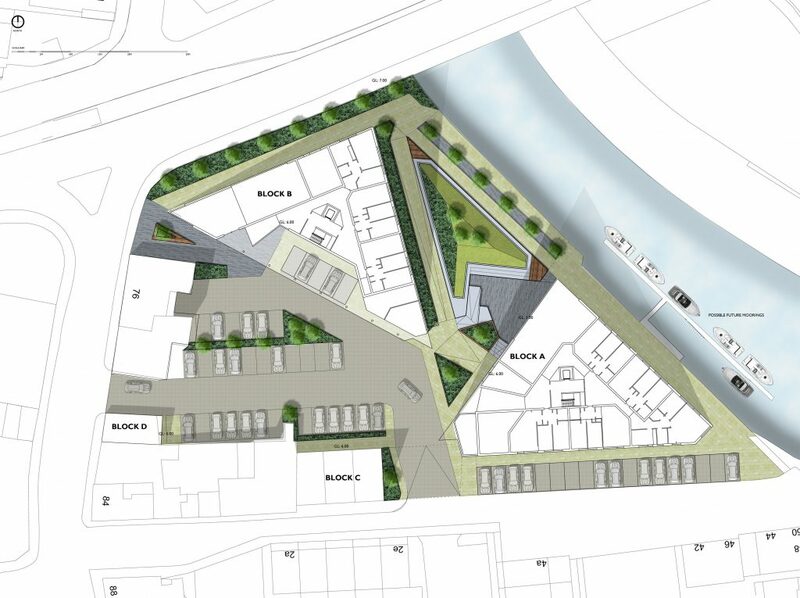 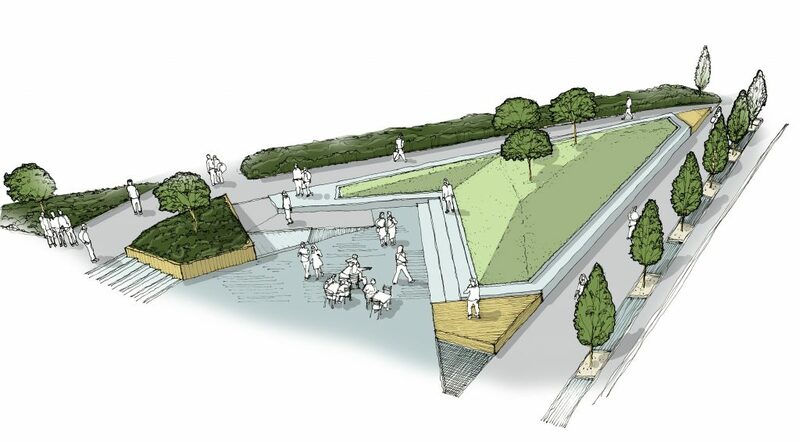 We provided landscape design services for a high quality mixed use development in Boston, Lincolnshire. 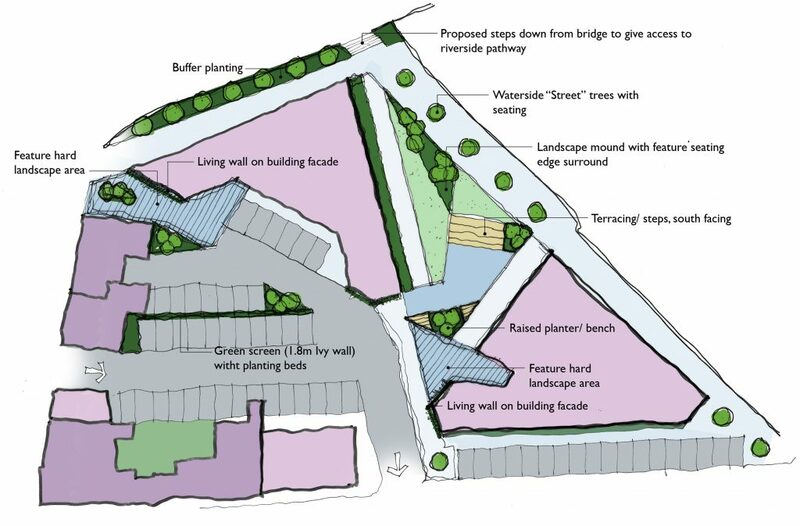 The site design responded to views to and from significant, sensitive locally prominent features. 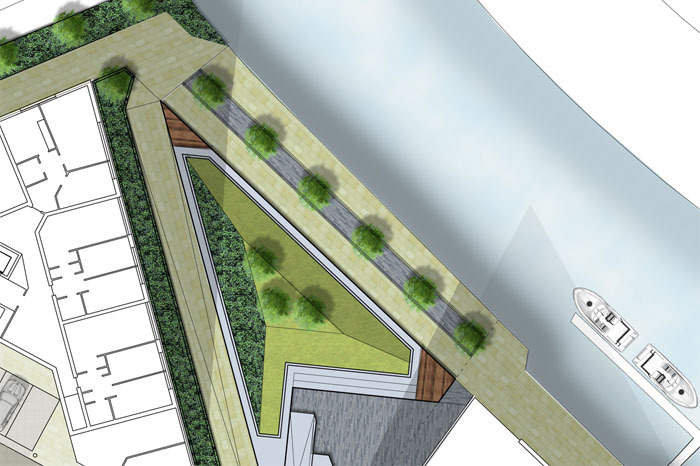 The proposal also involved a new large riverside public plaza.